It’s Friday, once again, which means it’s time for another Destiny Xur location and item post here on PlayStation LifeStyle. This weekend players can spend 23 Strange Coins on The 4th Horseman. Hunters can grab the Crest of Alpha Lupi chest armor, Titans can pick up the Helm of Saint-14 helmet, and Warlocks can purchase the Light Beyond Nemesis helmet, which all cost 13 coins. 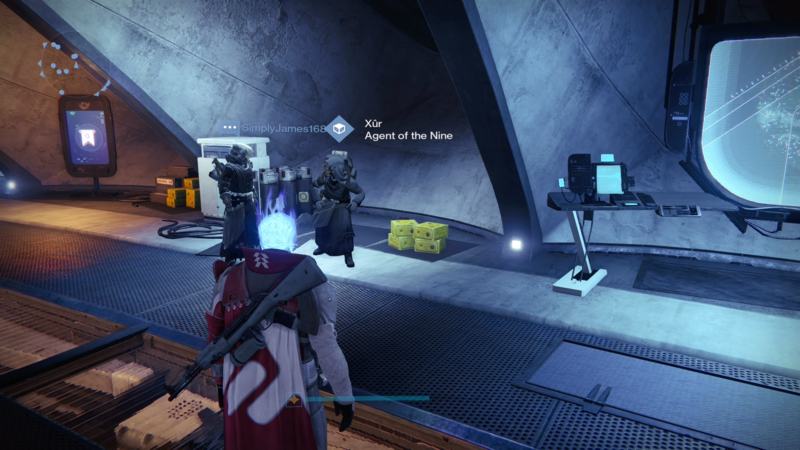 Xur is also selling a Special Legacy Engram for 31 coins. For this week, Xur – Agent of the Nine can be found with the Vanguards. In other Destiny news, Bungie has provided details on a big December patch, which promises to bring more Exotics. Also, the new Refer-a-Friend promotion is live, encouraging players to invite friends to join in on some Destiny action, in exchange for cool gear.